This post contains affiliate links. You can read our full disclosure policy here. My goal for homeschool this year is simple learning. With 6 children, ages 7, 6, 4, 3, 15 months and 7 weeks, elaborate plans and lengthy lessons would be stressful at best and probably closer to impossible most days. I’ve already talked about how we use LeapFrog DVDs to introduce and reinforce early reading and math skills. To make our school days even simpler, we’re learning science and history with DVD series. For science, our kids are watching The Magic School Bus series. We asked for the complete series DVD set last year for Christmas. I simply grouped the shows together to form units. We watch one episode each week and supplement with related books from our public library. 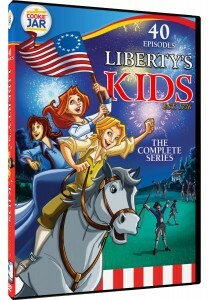 For history, we’re studying the American Revolution with Liberty’s Kids DVDs. The episodes are presented in chronological order and are both engaging and informative. 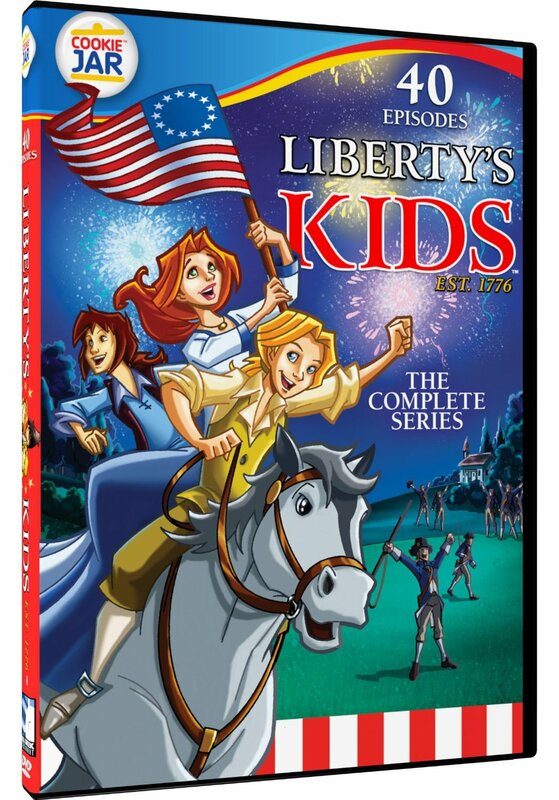 In fact, I’ve learned quite a bit about the American Revolution by watching these episodes with the kids. We’re also watching one episode each week and reading from books I find at the library. Two or three times a month the older two kids complete some sort of activity related to what we’ve been learning. I simply search online for free worksheets, coloring pages, puzzle, etc. When the kids finish their work I add it to their homeschool portfolio. 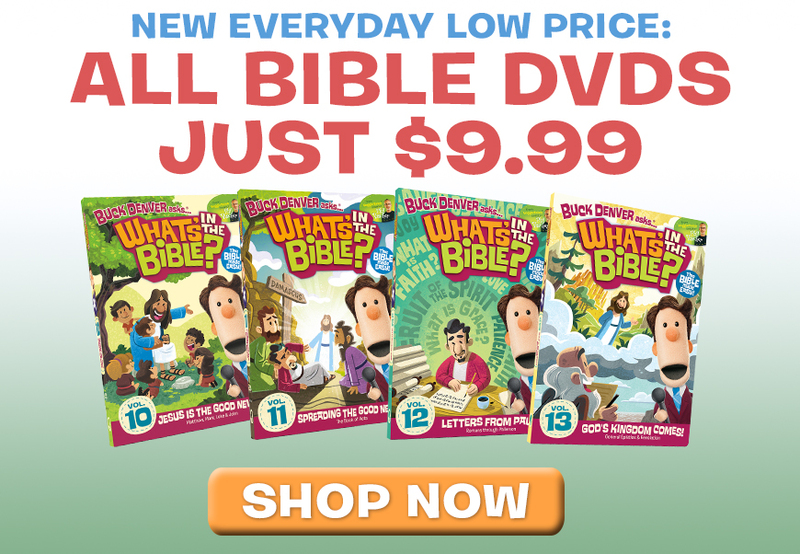 Even if you don’t homeschool, these DVD series would be great to have on hand for educational viewing. Do your kids have any favorite educational shows? 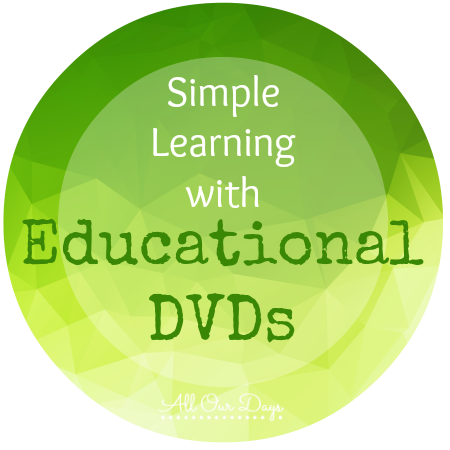 Do you use educational DVDs for simple learning in your home? My kids are HUGE fans of Wild Kratts. It’s amazing what they learn from that show. Not only do they retain facts, but they are able to identify animals (even obscure animals) that they see in nature or in books. It’s great to know that there are all these great DVDs out on different subjects. We have a few years until our little one is in school, so I’m going to note these great finds for later. 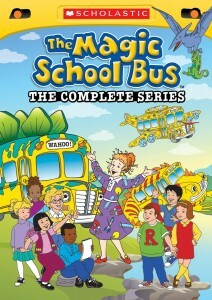 I love Magic School Bus! This year I bought Little Pimm Spanish which the kids watch for about 15 minutes each day while I’m finishing up lunch. I hadn’t heard of Little Pim Spanish. Do your kids seems to be learning from it? We haven’t decided on a foreign language for school, but I still think a general grasp of Spanish is definitely a good idea. Great post!! We are strartong the homeschool journey! I had forgotten about several of those DVDs! Thanks for the reminder! !